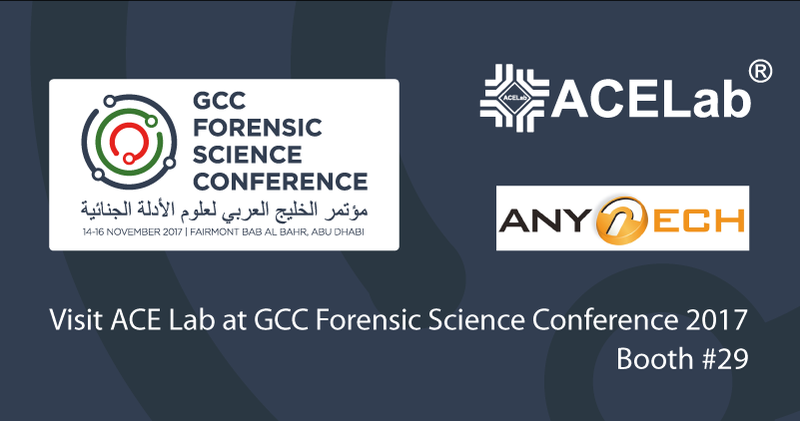 ACE Lab together with Anytech LLC is going to exhibit at the GCC Forensic Science Conference 2017 in Abu Dhabi. Our team will be there to demonstrate the latest achievements in recovering data and digital evidence from damaged storage devices. We invite all our customers to meet with us at Booth #29, Fairmont Bab Al Bahr, Abu Dhabi, on November 14-16, 2017. It's a great opportunity to look at the PC-3000 products, discuss the most burning data recovery issues and ask technical questions directly to ACE Lab engineers. We look forward to meet everyone during the exhibition to talk over the newest trends, developments and challenges of the industry. See more about the conference here.